You may spend your days working in tight or close spaces. Local travel is often required — especially if you work in the residential or appliance installation fields. You might work outside in various types of weather — especially if your job is located on a construction site. Your worksite can be noisy and require you to wear personal protective equipment, or PPE, such as a hard hat, gloves, or a tether. Being an electrician may mean that you’re on call if something goes wrong in a nearby power plant, or if a sudden power outage occurs. You could work alone, as part of a crew, or as a mentor to apprentice electricians. This occupation frequently requires heavy lifting, repeating twisting and turning, or standing and kneeling for long periods of time. There is always the risk of shock or electrocution when you work with electricity. But, the requirements for training, apprenticing and licensing increases with riskier jobs that expose you to higher voltages. The residential electrician is responsible for installing, troubleshooting and upgrading wiring throughout homes, apartment buildings, dormitories and more. Becoming a residential electrician typically involves formal training resulting in an Electrician Certification. But if you nail the requirements, you could spend your days traveling out in the field to various job sites and performing the many chores associated with wiring homes and dwellings with electricity. Work as a residential electrician may involve daily travel, entering individual and group homes, running wire, and installing indoor and outdoor lighting to code. A commercial electrician spends the bulk of his day working in businesses and/or construction sites. Because the work he does involves the safety of the public, the requirements to work in this field are more stringent and usually require formal training, an apprenticeship under a master electrician, and state licensing. As a commercial electrician, you might spend your days installing security systems, commercial lighting or wiring new constructions. Maintenance electricians can work in either commercial or residential settings. The maintenance electrician is usually called upon to fix something that’s broken or malfunctioning. He might work rewiring homes or troubleshooting air conditioning systems in plants or factories. Typically, this is the guy who troubleshoots the equipment and the circuitry and replaces old, worn-out parts and repairs connections. 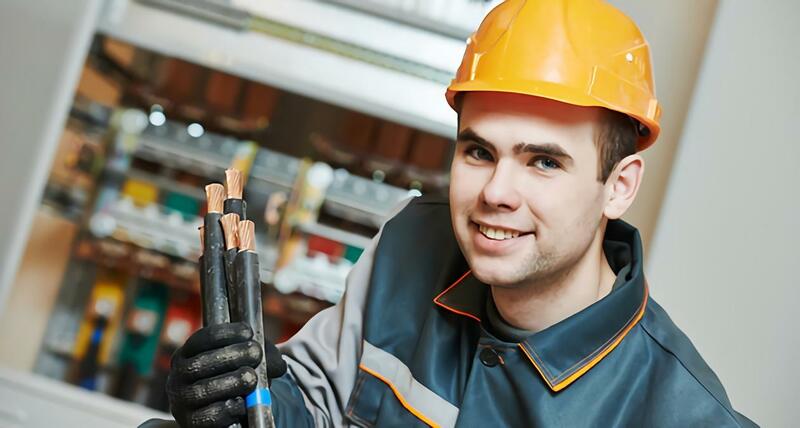 As a maintenance electrician, you’ll likely spend your workday solving problems and restoring connections. If you work as an appliance installer, you’ll spend time in and out of customer’s home, installing and troubleshooting large appliances such as dishwashers, washing machines and clothes dryers. You might be responsible for disassembling an appliance and replacing a worn part or for testing the gas line coming into a home. You might cut and thread pipe. Typically, an appliance installer needs some degree of formal training in electrical work, but licensing is not a requirement. If you choose to work as a service technician, you’ll put your electrical skills to use running audio or video cable, setting up broadband service for both residential and business applications, installing high-speed Internet in customer homes, and setting up computer access. State licensure is not required to become a service technician, however, a solid background in electrical training is usually preferred. As an applicant in this field, expect to spend your days in and out of customer homes, local businesses, and on the road. You might operate a company truck and be responsible for equipment such as cable, tools and walkie-talkies. Regardless of which branch of the electrical field you decide to pursue, your workdays will be filled with meeting interesting people and solving fascinating puzzles in this in-demand field. If you enjoy taking things apart and making them work again, a career as an electrician might be the one for you.